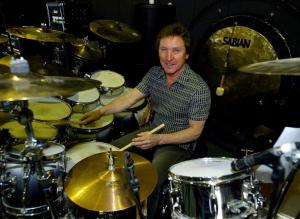 Drawing from all his past associations Kenney Jones (Small Faces; The Faces; The Who; Bad Company; Foreigner; and many others) the core members of The Jones Gang don’t need to be reminded about the history of rock. After all, they helped shape it. Unlike the formation or other groups The Jones Gang came together as a fluke when Jones assembled the original band to play for a charity show held at his own Hurtwood Park Polo Club. “You couldn’t throw a band like that together and form a so called ‘super group’, which we were not, even though everyone was well known” say’s Jones. “Through my polo club endeavors now and again, people were asking me if I could put a band together for obvious reasons” says Jones. I always declined it and then a couple of times I did it. There is no doubt the excitement around the band is a result of its amazing historical past, especially that of Jones. It was in 1965 that Jones, together with Steve Marriott, Ian McLagan and bassist Ronnie Lane, formed The Small Faces. They exploded onto the international pop music scene and when Marriot departed from The Small Faces to form Humble Pie with Peter Frampton, it was Jones who was instrumental in recruiting Ron Wood and Rod Stewart from The Jeff Beck Group. Together, with the remaining Small Faces, they formed The Faces, and well, the rest is rock history. The Faces topped the charts around the world, and despite Stewarts own solo success in the early 1970’s, remained intact until 1975, when Wood left to become a Rolling Stone. Jones then went on to play with The Who after Keith Moons death.